Escape Rooms are popping up all around the country with unique themes and adventurous scenarios. Every year number of people who went at least once through a game is growing. Families, friends, co-workers of all ages enjoy this activity that requires them to immerse in the world of imagination and creativity. And truly it's very rare to discover something that will get involved so many people with such diverse demographics. This is why in Quest Factor we create not just mere escape rooms, but rather a unique adventure, a movie where our guests can be part of unfolding story. From Hollywood studios to car manufacturers to consumer goods firms, companies are increasingly investing their marketing dollars in ways which enable their customers to interact in a hands-on ways with their products. Experiential marketing already accounts for over $50 billion annually in the U.S. alone. Escape rooms can be one of the most engaging forms of experiential marketing, which is why Ford created an escape room to promote the Ford Escape and Fox created one to promote its show Prison Break. Escape room is an immersive video game brought to life. With latest state of art technology we are able to produce quality gaming experience that will be remembered by players for a long time. This is why building branded escape rooms and real life quest challenges is a great way to strengthened your company's presence. We offer product placement options in our locations on long and short term basis. Whether its a beverage product or a new gadget, we will work on incorporating it seamlessly into our gaming experience. Imagine hundreds of people every week learning about your company or a new products! 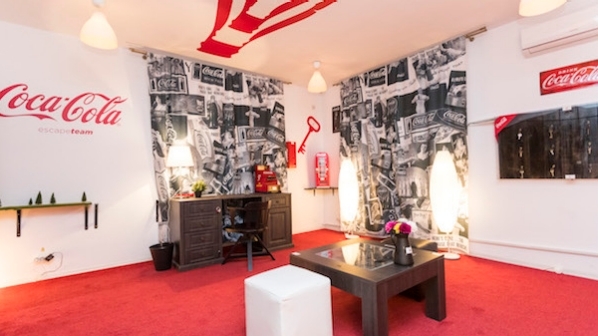 Coca-Cola Escape Room in Bucharest, Romania, gives fans the chance to unravel some mysteries of the world’s best-known brand. 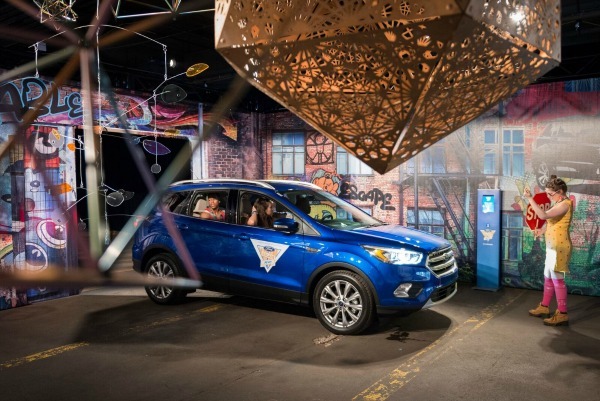 Ford is turning the typical test drive experience on its head with a giant driveable game in New York.